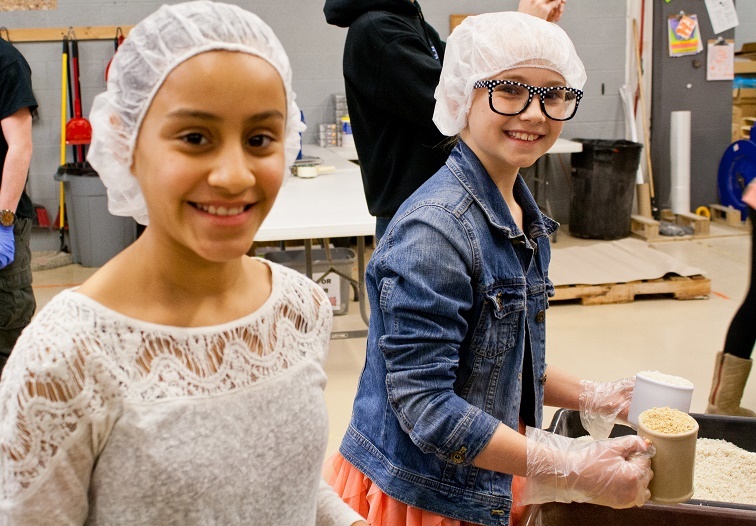 A total of 53 athletes, parents and siblings from our four Serve City Elgin teams gave of their holiday time to serve others at Feed My Starving Children's Schaumburg facility on December 19. The meals packed will feed 53 malnourished children in Malawi for a full year. Enjoy these photos of the volunteers from our 12 Smack, 13 Smack, 14 Smack and 14 Blue teams working to aid those in need through Serve City Serves. Members of our West Chicago 17 Smack team took time out of their schedule to organize groceries for the poorest residents of the Chicagoland area at the Northern Illinois Food Bank in Geneva on December 21. The food and other essentials that the team gathered together will aid needy families and individuals in Kane County and across the greater Chicago suburbs. Good work, ladies!